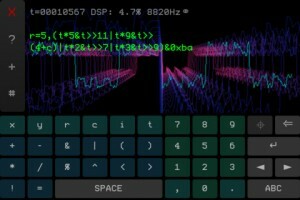 BitWiz Audio Synth translates C-like code expressions into lo-fi 8-bit generative audio in real-time. Explore the algorithmic music of simple bitwise arithmetic operations while watching the retro-digital 3D graphics. 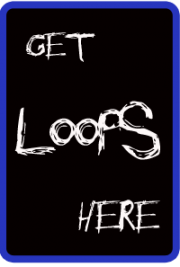 You don’t need to learn C to use this app, just play around with the included codes and tweak a number here or there, and strange glitchy variations will appear. – XY-pad for tweaking of variables. Play BitWiz as an instrument! You can also share your codes by e-mail. The entered code expression is used to calculate each audio frame, and can optionally include the microphone input as a variable, for crazy distortion effects!